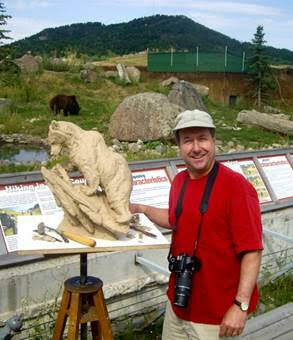 Montana wildlife sculptor Ott Jones will give a presentation on how a bronze sculpture is created beginning with his concept through the casting process. His presentation will include pictures of several of his animal and bird models and how he goes about creating his clay original. Topics that Ott will discuss include inspiration, idea development, creating a maquette, building an armature, research, compositional elements of a sculpture and the entire foundry process. This event is open to all Seabrookers and there is no cost to attend. This entry was posted in Events, Lake House, The Arts. Bookmark the permalink.